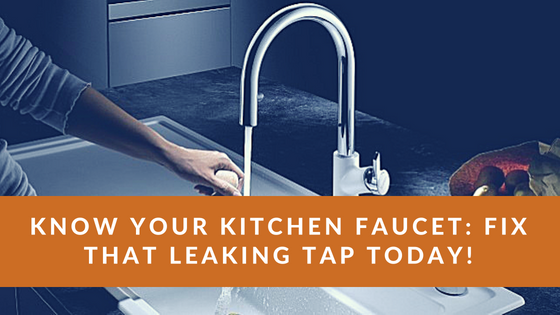 Home / Blog / Know Your Kitchen Faucet: Fix That Leaking Tap Today! Know Your Kitchen Faucet: Fix That Leaking Tap Today! Are you having plumbing issues? 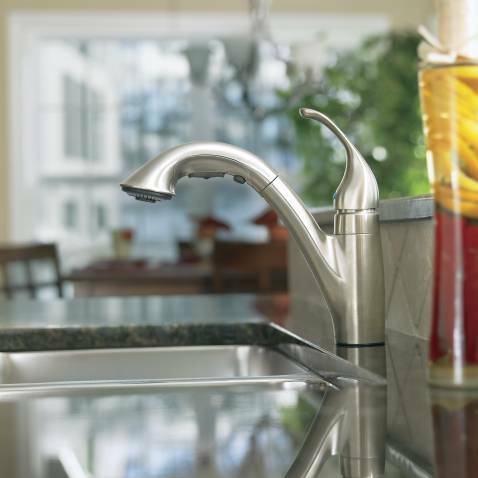 Do you need to fix a leaking faucet or do you need to install a kitchen faucet in your new kitchen? You can definitely leave it to the plumber to fix up your kitchen for you, but did you know you could easily save a few dollars a year simply by learning a thing or two about kitchen faucet? Yeah, that’s true. The kitchen faucet is something you use every day, and it doesn’t hurt to know how this thingy works. Also, Cookie points if you know how to fix it yourself! Components of the kitchen faucet! Let us take a look at the different components of the kitchen faucet. Before we can learn to take care of our faucets, we need to know how they work. No prize for guessing which part of the faucet this is! This is the stem-like part attached to the faucet through which the water flows out. Its steers the flow of hot or cold water and also determine the flow. An important part of the kitchen faucet. You definitely think of replacing the faucet when it starts malfunctioning. The aerator is the mesh-like thing attached to the tip of the faucet itself. It controls the pressure/ splashing of the water. It is the aerator that allows you to have an even flow and prevents the water from splashing everywhere. Their job is to join the aerator to the faucet stem. An internal part of the faucet itself, cartridges are responsible for the flow of the water. Whether your kitchen faucet has a trickling flow or a gushing one, is determined by the cartridge. The water rushes out of the cartridge, reaches the aerators, and which then smoothens the flow. These are obviously the parts you use to turn a tap on or off. Faucets which allow the flow of both hot and cold water can sometimes have more than one handle attached to it. 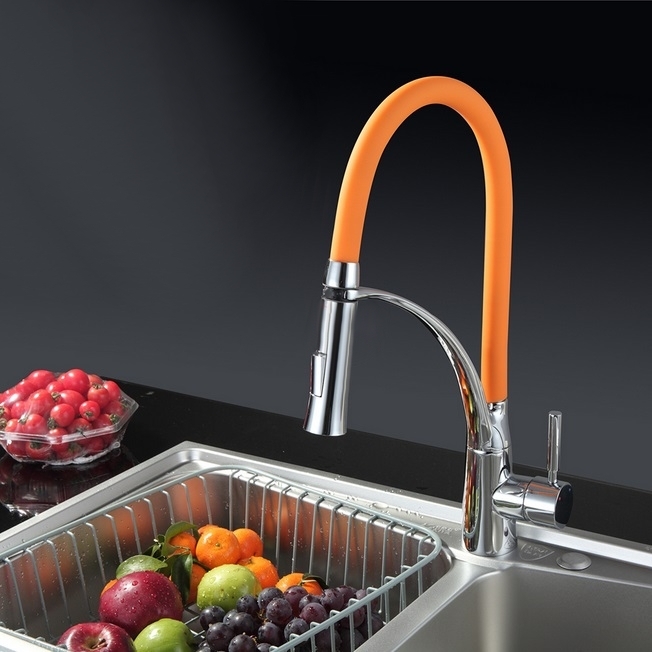 Made either of rubber or metal, the gaskets are meant to ensure that all the faucet joints are tight and secure. Round like an O in shape, they’ll give you a leaking pipe when they need a day off! These are parts that are fixed to the lower or anterior part of the faucet, and they cover the opening of the pipe or valve. Congratulations! You can now name the different parts of your kitchen faucet, and when it begins to give you trouble, you’ll be able to diagnose which part isn’t working. It’s easier to shop for parts of the kitchen faucet than you think. You can easily buy them online. Don’t forget to compare the specs and prices of leading brands while you’re at it. A leaking kitchen faucet, with its constant drip, costs you more than you think. Once you spot the leak, don’t put it off and repair immediately, or you’re in for bigger expenses! Feminist, Mother of a baby girl, Author, Story writer, Foodie, Self proclaimed fashionista. Being a mother is like being an Avenger. How to Deal with Common Kitchen Faucet Problems Quickly and Easily? How to Fix a Dripping Kitchen Faucet? Best Kitchen Faucet Reviews Copyright © 2019.